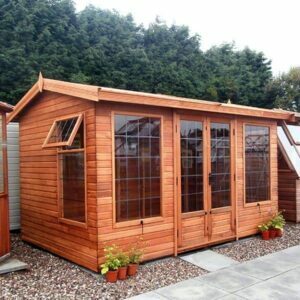 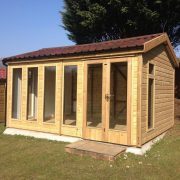 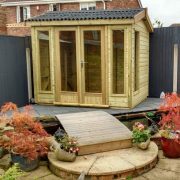 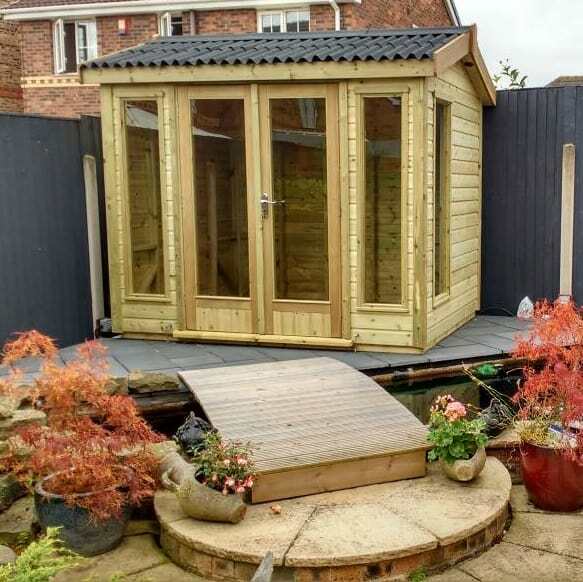 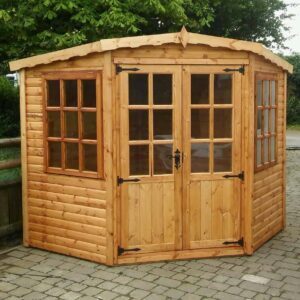 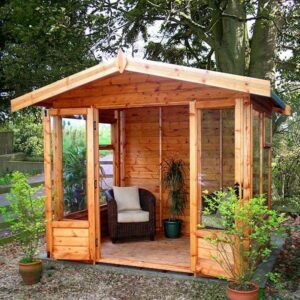 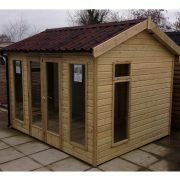 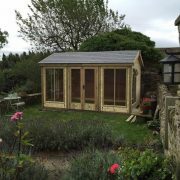 A premium summerhouse with the front under the eaves. 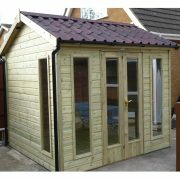 The Ketton has thick framework & pressure treated cladding with the option of double glazing and insulation. 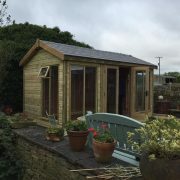 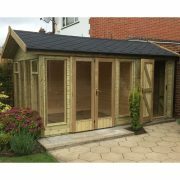 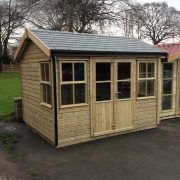 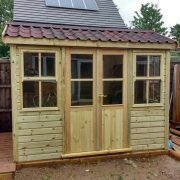 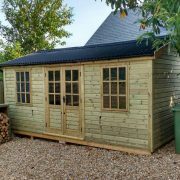 The Ketton summerhouse has an apex roof with the front being the lower eaves of the building. 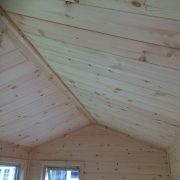 Tall 1.95m internal eaves height.